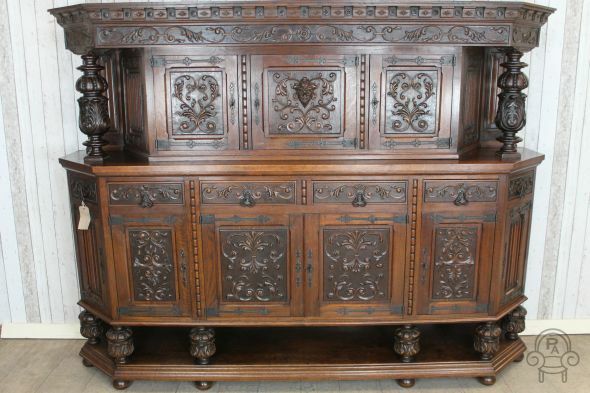 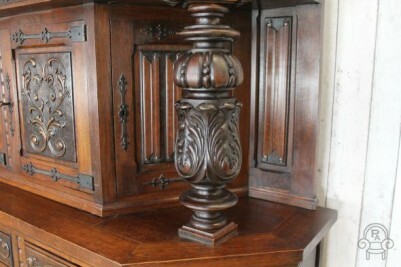 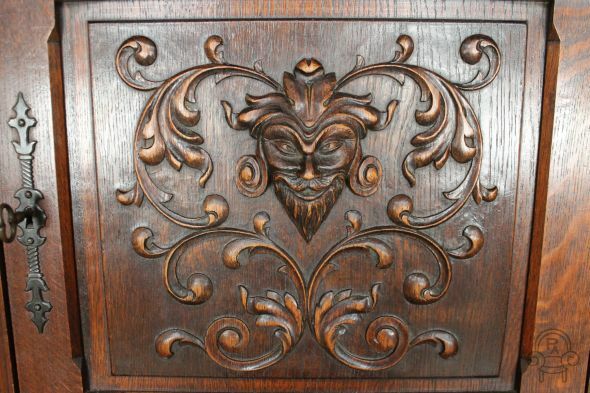 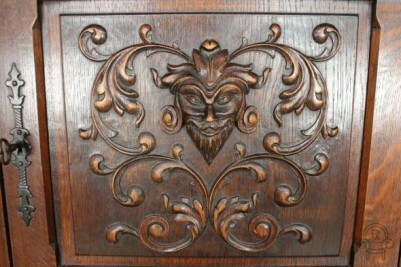 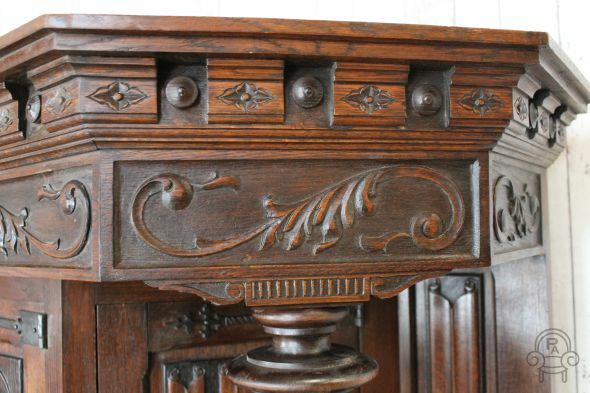 A truly magnificent large piece of quality oak furniture; this outstanding Jacobean revival, solid oak court cupboard features magnificently carved detail to its doors, cornice and columns. 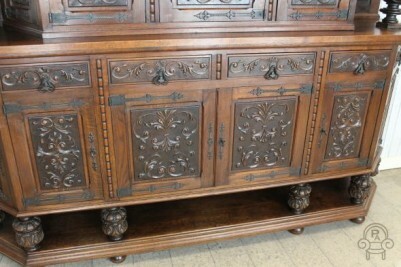 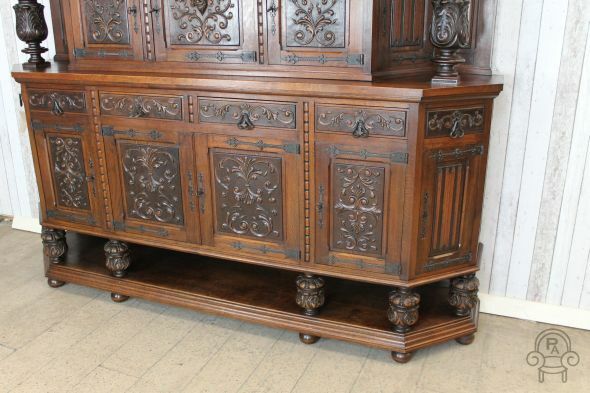 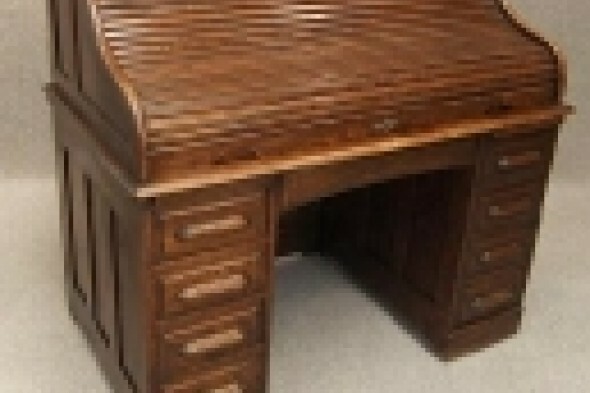 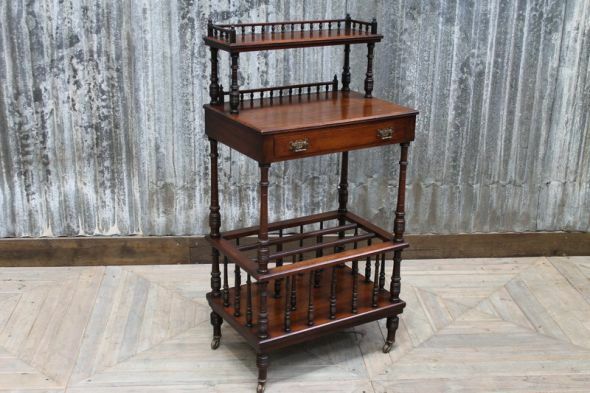 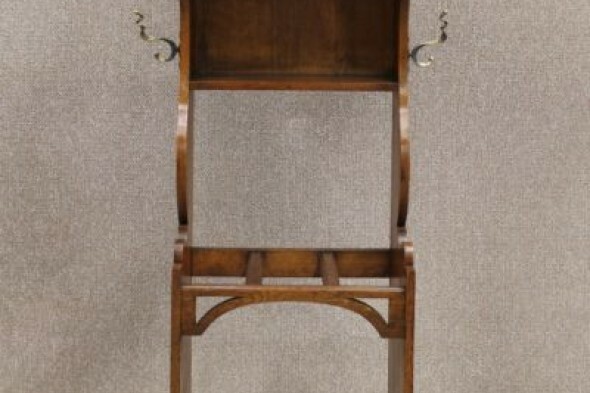 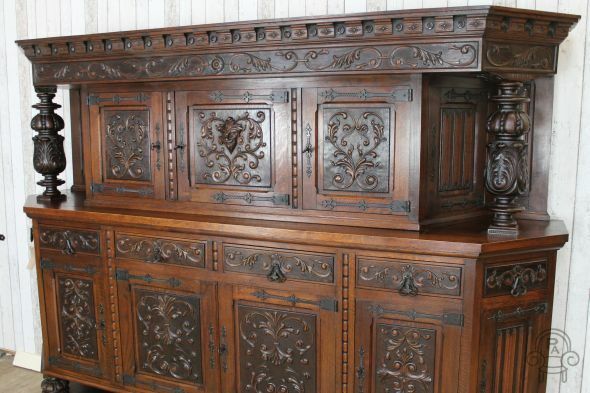 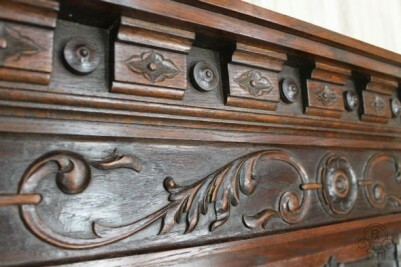 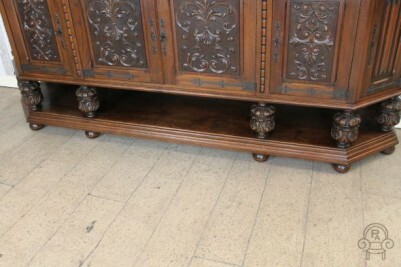 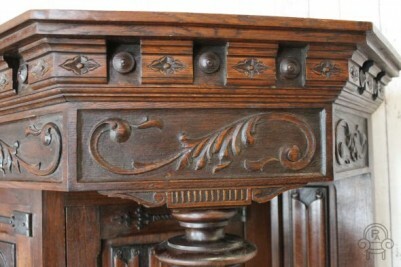 It is decorated with strap iron hinges and is in outstanding condition for its age. 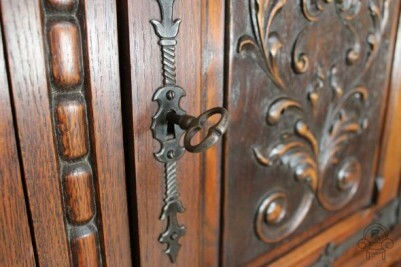 It comes with four keys that fit all of the locks and also has internal shelves that are adjustable. 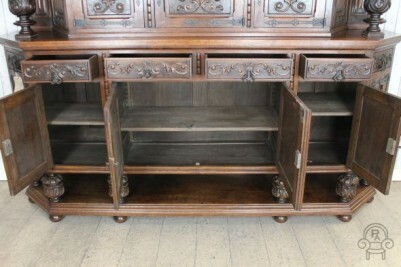 This item breaks down into two pieces for ease of transportation and reassembly. 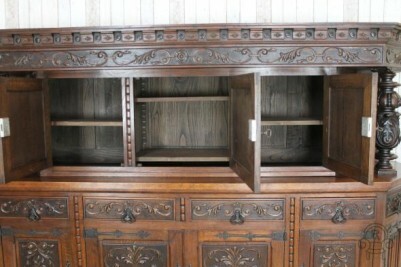 A superb piece of furniture that provides a vast amount of storage; this Jacobean cupboard is ideal for any large country home, hotel, etc.